Imagine the nervous system as a web of communication. Nerves are constantly sending signals to various parts of the body, like telephone lines feeding into homes throughout a neighborhood. Neuropathy is a breakdown in these communication lines—and the consequences are a bit more unsettling than a missed phone call. The Neuropathy Association estimates that over 20 million Americans (1 in 15 people) experience some form of neuropathy. Dr. Samuel Koszer, managing partner of eRiver Neurology of New York, with locations across the Hudson Valley, defines neuropathy as a "general term for a nerve degeneration that effects the human body." Specifically, the damage occurs in the peripheral nervous system, or the motor, sensory, and autonomic nerves that connect the central nervous system to limbs and organs. Though about 30 percent of cases are of unknown origin, neuropathy is typically a byproduct of a larger issue. Until recently, the most common cause of neuropathy worldwide was leprosy. Now, diabetes is the number one cause. Approximately 30 percent of neuropathies stem from diabetes, with nearly 60 percent of all diabetic patients experiencing some form. According to Koszer, neuropathy "usually requires continuous treatment and often relief is incomplete—it's often an evolving disorder that gets worse over time." In the 2005 Harper's article "The Pain Scale," Eula Biss struggles with an incurable chronic pain. Asked to categorize it by choosing a number between zero and 10, she notes how a fundamental element of pain is not represented. "The pain scale measures only the intensity of pain, not the duration," Biss writes. "This may be its greatest flaw. A measure of pain, I believe, requires at least two dimensions. The suffering of Hell is terrifying not because of any specific torture, but because it is eternal." As with other forms of chronic pain, neuropathy is a disorder that has long-term effects that often develop from long-term habits. Dr. Alampur, a neurologist with Kingston Neurological Associates, notes another predominant lifestyle-based cause of neuropathy: alcoholism. Basic steps toward a healthier lifestyle, including diet and exercise, are key preventative measures for a disorder that has no known cure. Many cases of neuropathy, though, are out of the control of a healthy lifestyle, such as chemotherapy-induced neuropathy or trauma caused by accidents or repetitive motion, like carpal tunnel syndrome. There are also hereditary neuropathies that are incurable. To add to the variables of neuropathy's forms and causes, the symptoms are also numerous and diverse. Most everyone has experienced a form of neuropathy at its mildest—recall the tingling sensation of your foot falling asleep. Symptoms, though, are often much more serious. Dr. Alampur notes that the most common symptom of neuropathy is numbness in both feet, which often results in imbalance and falling. "Your body's relationship to three-dimensional space is lost," she says. Lou Paradise, president and CEO of Topical BioMedics in Rhinebeck, felt residual pain from his repetitive movements while serving in Vietnam. "The pain was so severe that it felt like I was intentionally sticking my finger into an electrical socket—I felt jolting electrical pain from the tips of my fingers to my elbows," he says. Topricin, a homeopathic anti-inflammatory pain relief cream, is the brainchild of Paradise's neuropathic pain. Topricin targets toxins that build up around and damage tissue in the lymphatic system, which prevent capillaries from delivering nutrients that nerves need to stay healthy. "It relaxes the capillaries and immediately starts to heal the cells," he says. "The cornerstone of diagnosing neuropathy is really listening to the patient," Koszer says. Identifying the symptoms is the first step to classifying the neuropathy and determining the appropriate treatment method. While diabetic neuropathy is treated as you'd treat diabetes itself—keep sugar intake down, monitor glucose, exercise—some treatment methods are tailored to specific forms of neuropathy. For immunological causes, such as infections from Lyme disease (a common form of neuropathy in this area, Alampur notes) or toxins from alcohol or other substances, Koszer recommends intravenous immunoglobulin treatment, which is when pooled antibodies from hundreds of people are given to the patient through an IV. He also suggests plasmapheresis, a form of dialysis which involves removing, filtering, and returning a patient's blood. For more immediate relief, Koszer recommends neuropathic pain medication, such as Gabapentin or Pregabalin, which are safer alternatives to narcotics because they are less addictive, longer lasting, and have less severe side effects. Alampur avoids use of narcotics at all costs. For severe pain in the feet, a common neuropathic complaint, she suggests an ibuprofen gel lubricant. "If that doesn't help, I go to the next step, which is lidocaine patches"—a stronger topical pain reliever. Even in more conventional medical contexts, health consciousness remains a focus of treating neuropathy. "I always recommend exercise, and especially yoga to improve balance and flexibility," says Alampur. 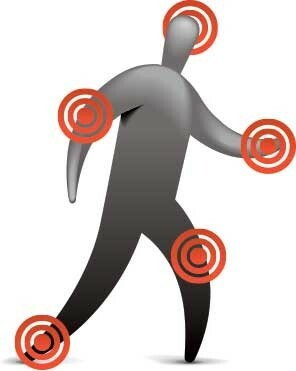 Acupuncture also focuses on creating balance in the body by stimulating healthy circulation. According to Carolyn Rabiner of High Ridge Traditional Healing Arts in Red Hook, "There is some very encouraging research showing that [acupuncture] can be very helpful, and that it may stimulate nerve-growth factors." In addition to responses in patients that are often immediate and sustained, Rabiner also notes that the treatment is appealing because "it's been used for at least 2,500 years, and side effects are extremely rare." Other treatment methods in Chinese medicine include moxibustion, or heat therapy, and Gua Sha, a type of massage that is done with a Chinese soup spoon. Like acupuncture, these treatments work to promote healthier circulation and reduce blockage and undernourishment of the tissues. Advanced Health & Injury Care, a multidisciplinary practice with locations in Carmel, Mahopac, Middletown, and Pleasant Valley, offers a year-old program that synthesizes conventional and alternative approaches. Medical doctors, chiropractors, and physical and massage therapists all contribute to the AHIC's 12-week neuropathy treatment program. Rehabilitation strategies include soft-tissue massage work and vibration therapy as well as using the ReBuilder—a neuroelectric stimulator that helps regenerate the nerve's pathways. According to Practice Administrator Dr. Charles Marino, the ReBuilder sends a signal that mimics a nerve's normal electrical signal and tries to retrain the damaged nerve. "We're seeing about an 85-percent success rate," Marino says. "Not just with less pain and tingling, but we see increased functionality." With no medications or side effects, Marino feels it's a good alternative for people who aren't seeing results with other treatments. "The combination of using ReBuilder and doing other modalities is really making it more effective." Susan Spiegel Solovay, a nationally certified medical hypnotist and instructor with an office in Hudson, incorporates another fundamental healing tool that's often overlooked: the mind. "One of the underlying facts in medicine and healing is that the mind has a role to play," says Solovay. By "offering mental pictures and positive healing suggestions," Solovay says the hypnotic state can be reached, or the state between waking and sleeping which depends on both deep relaxation and focus. Herself a cancer survivor, Solovay's main neuropathy work involves chemotherapy-induced pain. "When a person is diagnosed with an illness, most go into a state of anxiety, which is all about being strong and fighting, but it's not about healing." Though Solovay recommends hypnosis as a complementary treatment for neuropathy, reducing stress is ultimately what's most important, no matter the method. "Some people say that 80 percent of an illness has a component—not cause—of stress that exacerbates it," says Solovay. "Things happen in the body, but it's the mind that interprets them." "There is no evidence of pain on my body," Biss writes about her phantom chronic pain in Harper's. "No marks. No swelling. No terrible tumor. The X-Rays revealed nothing. Two MRIs of my brain and spine revealed nothing. Nothing was infected and festering, as I had suspected and feared. There was no ghastly huge white cloud on the film." Neuropathy plagues in a similarly enigmatic way. Its forms, causes, and diagnoses are not obvious, but multilayered and sometimes even undetectable. If not fully curable, there are at least methods for alleviating neuropathic pain, as well as many knowledgeable health professionals in the Hudson Valley to help navigate the nervous system's web of misfiring signals.